What Do You Get With The Sawgrass Virtuoso SG800 ? 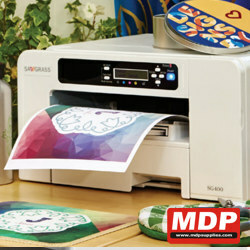 The Sawgrass Virtuoso SG800 is a desktop A3 dye sublimation printer. Dye sublimation is a process where you print your artwork using special inks onto special paper. You then apply this to specially receptive products, eg garments or mug using a heat press. At the correct temperature the ink turns into a gas and fuses into the product, giving a long lasting, vibrant image. The Virtuoso printers are the the only printers designed specifically for sublimation printing. Using the Sawgrass SubliJet-HD the Virtuoso printers deliver the highest resolution prints possible for vibrant, photo quality reproduction at up to 1200 x 1200 dpi. Using a multi cartridge ink system (black, magenta, cyan and yellow), the Virtuoso printer driver unleashes up to to 687,754 colours out of just those 4 cartridges. The SG800 is nearly twice as fast than their Ricoh predecessors meaning you can print up to 156 prints per hour. The printer has a built in self cleaning routine ensuring that the printer is running at its optimal performance. The optional Bypass Tray extends maximum media size up to 330 x 482mm (13 x 19 inch) for the SG800. All Virtuoso systems come with access to PartnerPlus, Sawgrass's comprehensive user support program which offers real time help with system troubleshooting and assistance with colour management software. 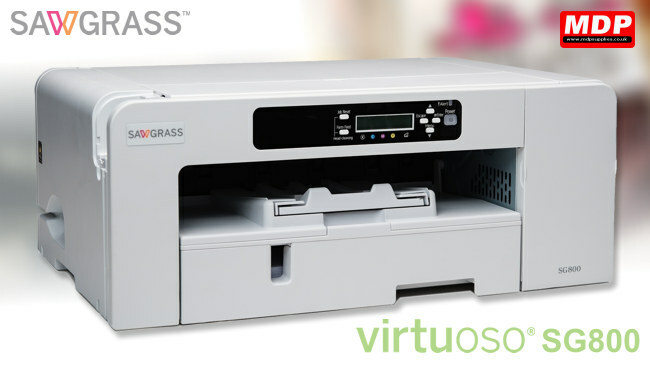 All Virtuoso Desktop HD Product Decorating Systems come with a two year warranty in the EU. Design from any internet-connected device - desktop, tablet or phone - no experience necessary. Quickly create proofs for your clients using Windows, Mac and Android platforms. CreativeStudio has hundreds of product templates direct from the most popular substrate manufacturers. Browse over 500 editable design templates and over 5,000 graphics, photos and images. Each image has been hand selected or designed for popular applications, such as sports products, personalised gifts, garment decoration and photo products. 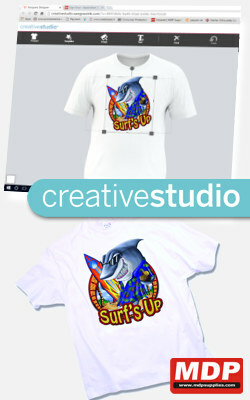 Included with Creative Studio is free online storage of your templates, print-ready files and uploaded images. Design online and save to the cloud. With just a few clicks, you can output these to your Virtuoso printer using CS Print Manager software. Get up to speed quickly Creative Studio online video tutorials. The printer is sold with a complete set of standard capacity cartridges. All UK and Republic of Ireland orders are despatched with a UK 3 Pin plug power supply. For all countries outside the UK and Republic of Ireland we will despatch your machine with a European 2 Pin power supply unless you specifically request the UK 3 Pin plug power supply.